In order that companies find the perfect package for their specific needs, we are offering four different packages for an invincible and excellent price-performance ratio. Start now. Your individual customer reviews are only a few clicks away. Stand out from competitors and display your Stars! With our rating badge you will receive stars in SERP via rich snippets and thus be found faster. We are one of the few Google partners worldwide and also offer you stars for your Google ads and also in Google Shopping. Show all your good ratings! 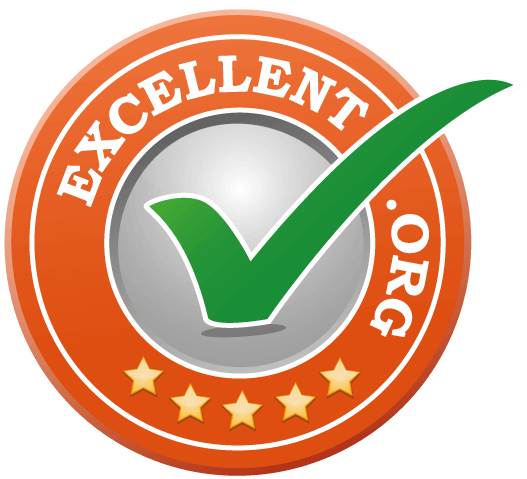 With the all-in-one feature, you can integrate ratings from other portals into the EXCELLENT.ORG badge. from Ebay, Amazon, Facebook, YELP, HolidayCheck, TripAdvisor dooyoo, Trustpilot, Idealo, eKomi, TrustedShops and many more. The mediation process helps you if you got a negative review. We try to solve the problem by verifying the given review. The mediation process by EXCELLENT.ORG is NO guarantee for the deletion of a negative review. With the review collector you can collect reviews automatically. Contact our staff via e-mail and let us help you. Whether for technical questions, reviews or marketing topics. from 9am - 6pm (GMT+01:00). Reviews from EXCELLENT.ORG on your facebook page. You can show all your reviews with the facebook app from EXCELLENT.ORG on your facebook page.